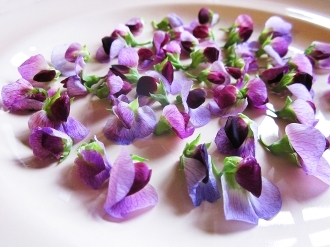 Gorgeous, purple & majenta toned and/or white tiny flowers with a fresh authentic Pea flavor reminscient of Spring! Great topping for mixed green & fruit salads. Also a nice garnish for fish dishes.